Escape! We are a relaxing, free-form vacation for Furries. Our programming is warm sand, sparkling waters and exciting entertainment aboard one of the world’s finest cruise ships. 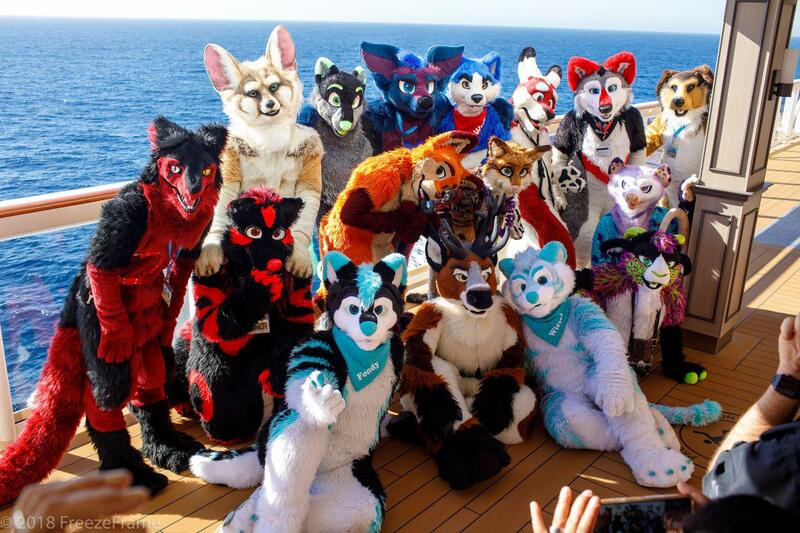 Grab your swim trunks, your flip flops and your fursuit; join us on the 2019 furry cruise! This year’s voyage takes us out of New York City, New York on Sunday, November 3rd on the amazing Norwegian Escape. This ship is part of the Breakaway Plus class of cruise ships with a ton of new features and places to eat. We look forward to embarking on this exciting 4200 passenger ship. Once settled in, we welcome you to enjoy a leisurely 2 days at sea. Enjoy the ship and get to know your fellow guests on our way to the Royal Navy Dockyards in sunny Bermuda. This year is quite different from previous years, as we will be staying in Bermuda from Wednesday at 4 p.m. to Friday at 3 p.m., giving everyone plenty of time to explore all the wonderful sights and sounds of the island. After 3 days of fun and sun, kick back for one more day at sea as we sail back to New York for disembarkation. 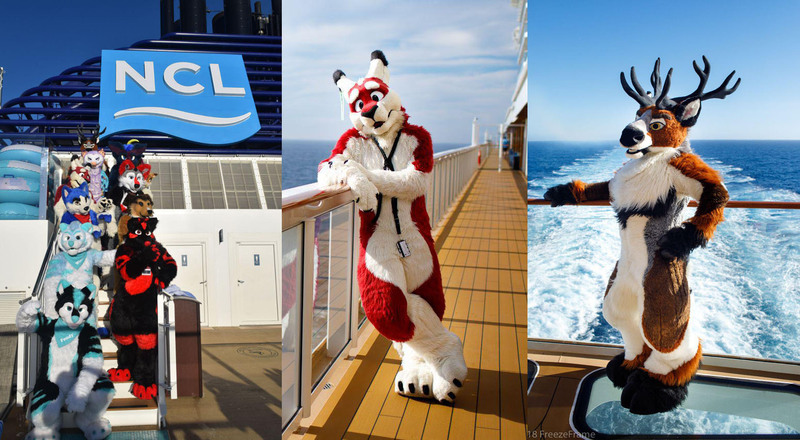 We welcome you aboard with us this coming November to enjoy the sun, the sea, and running around with friends in suit. Please follow the links above to find out more, and we hope to see you on the 2019 Furry Cruise. © 2017 Furry Cruise, LLC.